Posted on April 18, 2017 at 3:21 am. Macau police have infiltrated an unusual illegal betting operation involving high stakes baccarat and the Chinese social messaging service WeChat. Seven mainland Chinese nationals were arrested in the Nam Van district of Macau last week, after a tip-off about the illegal proxy betting operation. The Judiciary Police revealed the group encouraged mainland Chinese residents to gamble on the results of high-stakes baccarat games at Macau land-based casinos. The bets were arranged and the results were sent to the gamblers via WeChat. Judiciary Police spokesman, Tam Weng Keong, said the group had managed to get around 40 customers to participate on a daily basis. All have remained unidentified. He added the operation had only been running for a month but it had handled around HKD 10 million in bets since its inception. The minimum bet was set at HKD 300, with no cap on maximum bets. The group had made a profit by charging player commissions and by hedging wagers on the results, with a profit of almost HKD 1.2 million reportedly made. Tam revealed to GGRAsia the police had seized a computer which contained the betting results. He also detailed how the operation worked. The group would choose “two to three members” to physically go to the unnamed casino to play the baccarat game. Gameplay was streamed via the WeChat service to the rest of the gamblers. The gamblers, which resided in mainland China where gambling is illegal, were then given around 70 seconds to determine how they would wager. Tam also said the seven detained are from the Zhejiang province but the police believe there are still some members who weren’t caught. The police haven’t found any signs the group connected to Macau casinos, though. “So far, we haven’t found any signs of a collaboration between these suspects and the local junkets,” Tam told GGRAsia. Proxy betting isn’t a new thing, especially in Macau. It became so prominent the government attempted to stop the illegal activity in local casinos by banning mobile devices at the tables last year. Just one month after the ban was enforced, around three junket operators were caught putting wireless earpieces on agents to relay the game results live. Chinese media outlets have reported two more people were charged this week for operating a similar illegal gambling operation as detailed above. The pair – a man and his girlfriend – were arrested in February for using the ‘hongbao’ feature of WeChat to organise illegal gambling services. The feature allows users to transfer virtual credits and gets its name from the popular Chinese custom of giving money-filled envelopes on special occasions. The service also allows a randomised amount of money to be sent to different members of the group. This encouraged illegal lottery pools to be set up, which is what the man and woman did. When it comes to the lottery pools, the person who gets the least amount of money has to start the next round by distributing a hongbao or an amount equal or more than they received. The pair customised the service to ensure they weren’t subjected to this rule. 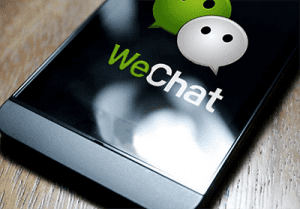 WeChat initiated a crackdown on illegal operations last year after it was found 75 percent of users were engaging in some form of inappropriate use with the hongbao service.